Trap Covers are great for protecting captured animals from the elements. They also hide trapped animals so people passing by don’t see them and become alarmed. The cover can be left on the trap when transporting the animal, giving you added protection. Covers also have a calming effect over most trapped animals. 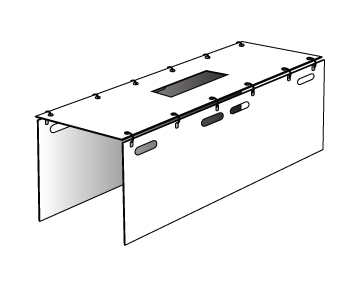 We offer three categories of trap of covers in a variety of sizes to fit most traps and cages. Covers can also be custom made to your specifications. Our plastic trap covers are made from .090 low density polyethylene. They are durable, easy to clean, and fold flat for easy storage.